Marc and Tricia have been producing classic baked products out of their home in Marikina Valley Philippines for many years now. In 2008, as the demand for their products grew, they established a community-based commissary in the property next to their home. From art cakes, cupcakes, cheesecakes and artisan breads now comes a fresh take on cookie classics! Hold it, dip it, split it, share it! A new way to enjoy an all-time favorite. That is Cookie Sticks. 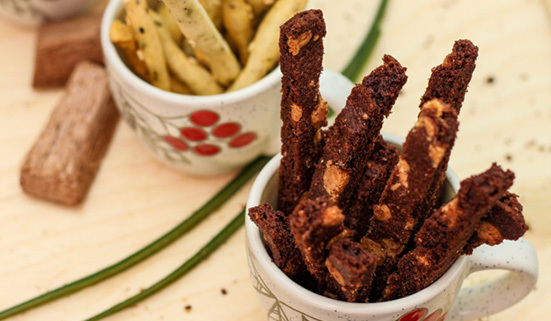 Cookie Sticks introduces an interesting twist to the classic cookie that everyone loves. Instead of selling the cookie in a traditional flat and round shape, we sell cookies in stick form. 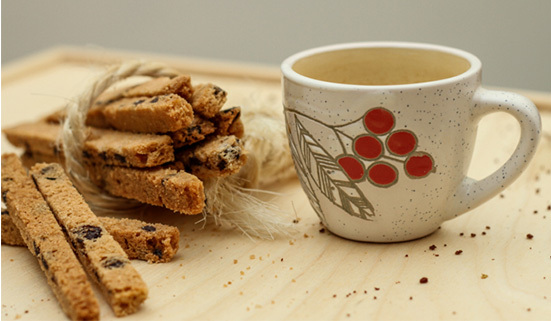 Traditional cookie recipes sit alongside various flavors of Grissini sticks. 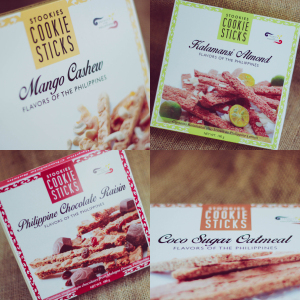 ARETEI FOODS CORPORATION – MAKERS OF ORIGINAL COOKIES STICKS – NOMINATED TO THE ASEAN BUSINESS AWARDS 2015 FOR EXCELLENCE IN INNOVATION, EMPLOYMENT AND YOUNG ENTREPRENEUR! 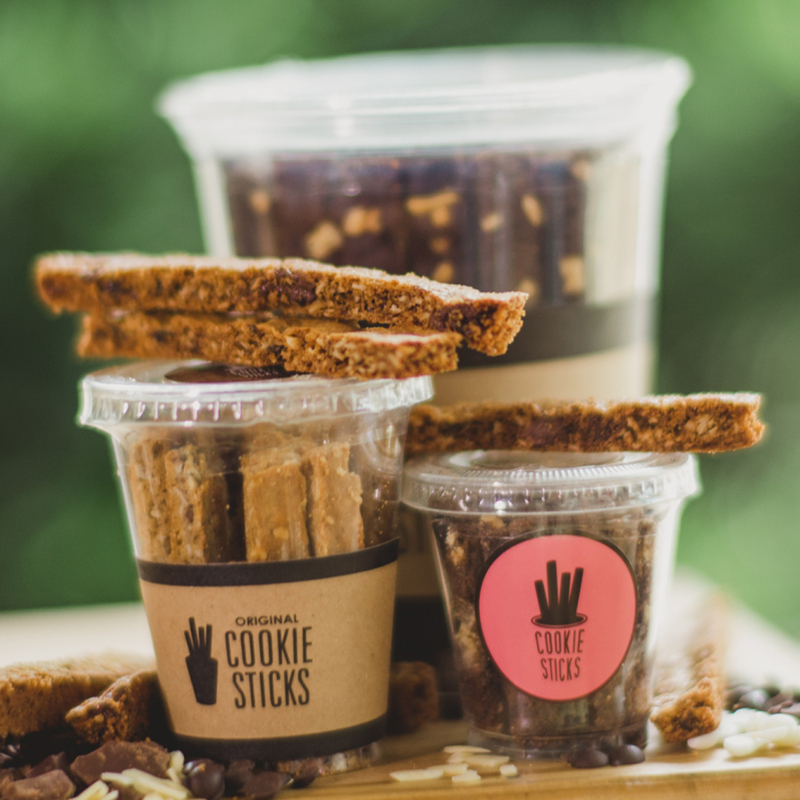 Cookie Sticks are exactly what the name says: cookies in the shape of a stick. The idea is to get scrumptious cookies in smaller bite-sized pieces that you’ll want to keep munching. Three things you need to look for in a cookie: deliciousness, calorie-count, and variety. Cookie Sticks got ‘em all! Be a franchisee or distributor now! Send us an e-mail or fill up the form at the bottom of this page and use #CookieSticksWeb in your message. CALL 87878 FOR METRO MANILA DELIVERIES OR USE THE FORM BELOW FOR BULK ORDERS AND SHIPMENTS OUTSIDE METRO MANILA. © Copyright 2014-2015 by Original Cookie Sticks. All rights reserved.